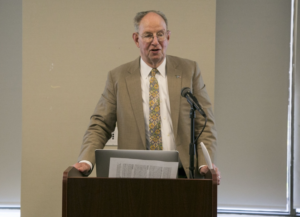 Ed Elmendorf has been actively involved in international organizations for 50 years. Following work at the UN and in the US Foreign Service, in 1970 Ed began a 30-year career with the World Bank, where he worked in policy planning, loan programming and negotiation, staff development and career management, country assistance strategy, lending and macroeconomic policy. During the 1980s he was actively engaged in the design, communication, negotiation, financing, and monitoring of economic reform programs (‘structural adjustment’) in Sudan, Somalia, Mauritius, and Madagascar. Subsequently, he worked on health strategy and policy in developing countries, including at the World Bank and as consultant to the World Bank Independent Evaluation Group (IEG), WHO, the UN Development Program, the US Institute of Medicine, and the African Development Bank. 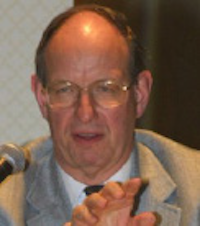 He served as co-author of the book, Better Health in Africa, published by the World Bank in 1994. After retiring from the World Bank, Ed taught at Johns Hopkins School of Advanced International Studies (SAIS) in Washington DC and Johns Hopkins School of Public Health in Baltimore.